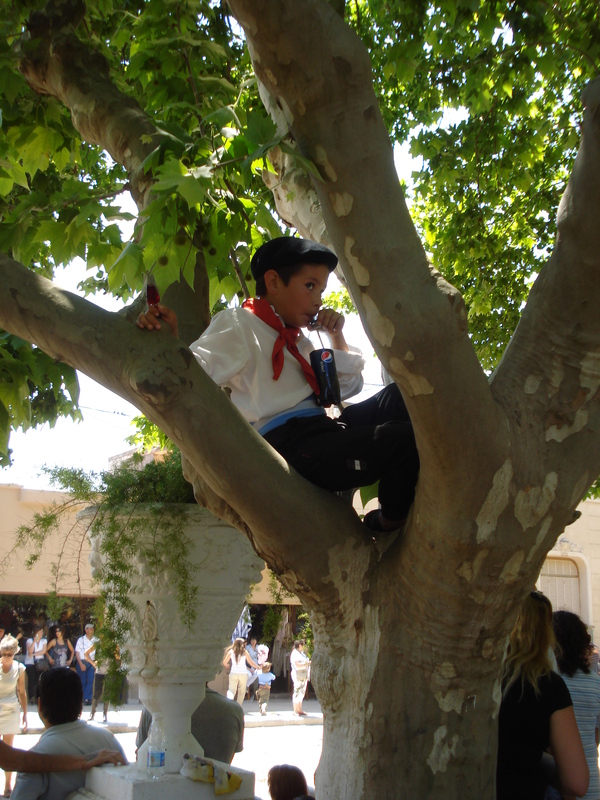 So one of the things that is very much part of Argentine folklore is the image of the ‘gaucho,’ sort of like cowboys in the US. They were mixed blood, Spanish and indigenous people, living out on the expansive plains of the Pampa herding sheep a and cattle. 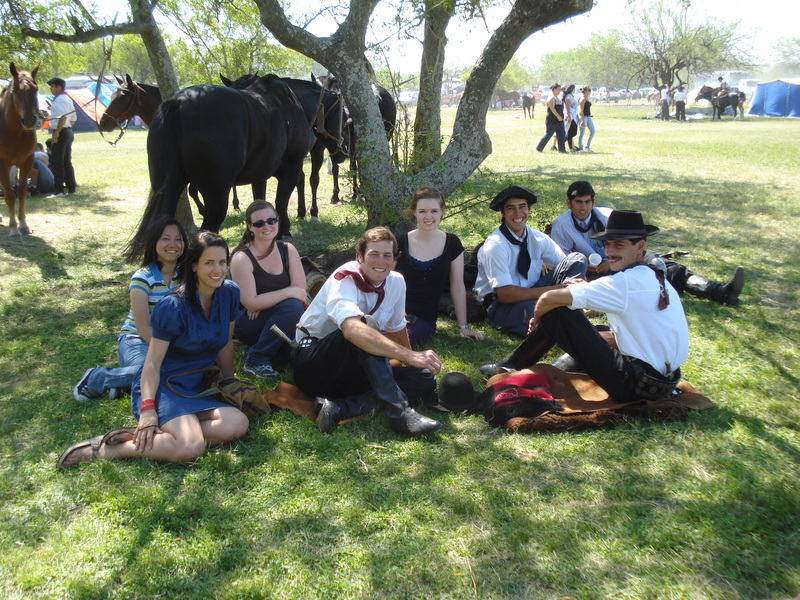 So when the opportunity came up to go to one of the biggest gaucho festivals still close to BA, I just had to go! 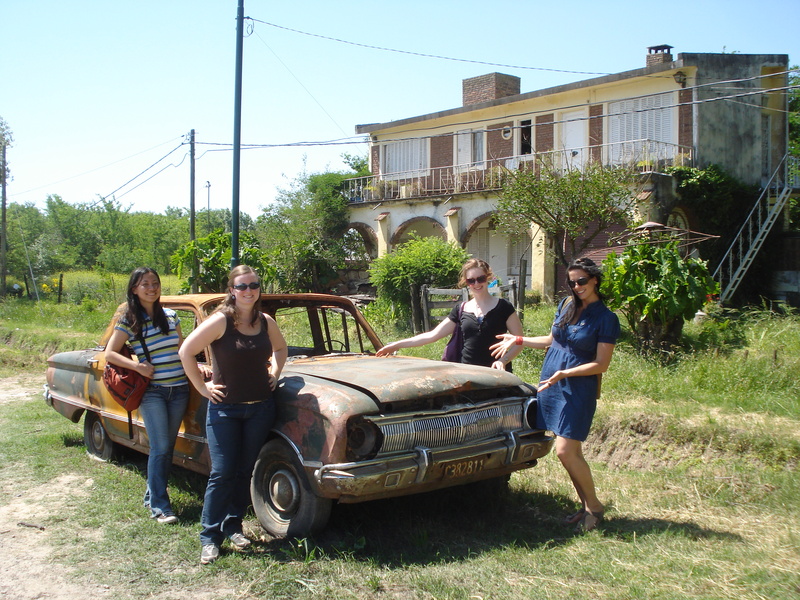 So fellow Rotary Scholars Sarah and Thiana, plus Juan ( my favorite Colombianito -‘little colombian’), and I packed onto the bus and headed out to San Antonio de Areco, where we were in no way disappointed by what we found. 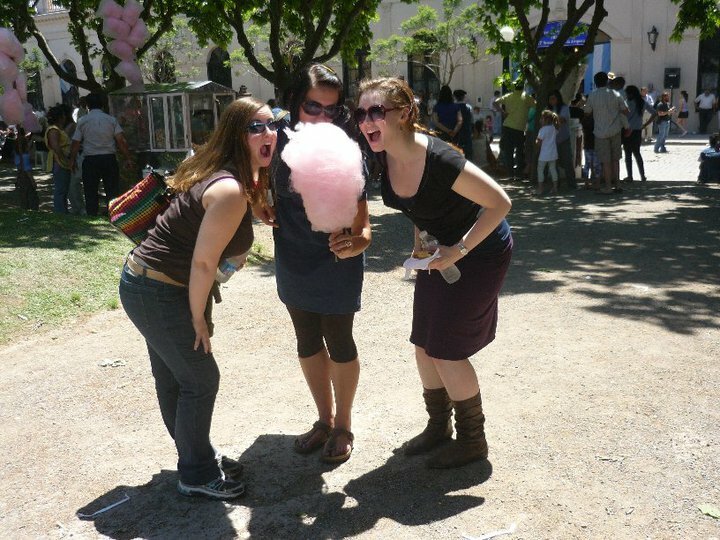 Lots of horses, real gauchos, and lots and lots and lots of asado, the famous Argentine grilled meat. It was an absolutely stunning day, lots of sunshine, great to get out of the city for a bit and see a totally different side of Argentine life than what you find in Buenos Aires. Plus, who doesnt love the chance to meet a cowboy? ¡Qué lindo escribís y qué buenas fotos!